I was so tired of seeing so much misinformed coverage of the appellation and the wines that I set out to tell the real story of the place, the people, and the wines as I have come to know them over the seven years since my first trip to Franciacorta in September 2008. With the title “real story” comes the obligation and the responsibility to tell the whole story. And so I believe that it’s only right to share and reflect upon two recent posts by two high-profile wine writers in which both level stinging criticism at the consortium and its members in general. The first was published last week by natural wine authority and my good friend Alice Feiring on her blog, the Feiring Line. 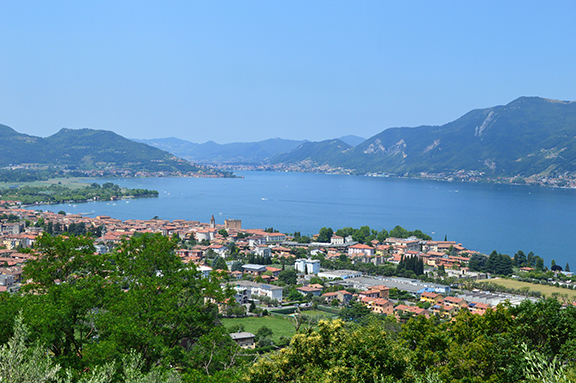 She had expressed an interest in seeing Franciacorta and so I asked the consortium to underwrite a trip there for her (and I accompanied her as her translator, driver, and guide). I’ll let readers draw their own conclusions from her post. But I do think that her observation that “Franciacorta is [perceived internally as] a brand and not a wine” deserves growers’ and winemakers’ consideration and reflection. Naturally, Alice and her readers are looking for authenticity and soulfulness in the wines that she writes about. And Americans in general prize such character when they open their wallets to buy fine wine. Her post, I hope and trust, will be food for thought for the consortium and its members. Her sentiment was echoed in a post this week by Walter Speller on JancisRobinson.com. Walter’s also a friend of mine but I had nothing to do with his visit. He lives in Padua and regularly travels across Italian wine country. Imitation may be the sincerest form of flattery but in the case of Franciacorta, Italy’s answer to Champagne, it has had a detrimental effect. This expensive Italian metodo classico wine has modelled itself closely on the French example, not only borrowing its grape varieties, with the occasional addition of Pinot Bianco, but also pretty much all of the nomenclature. Because of this it struggles to sell its wines on their own merits — as unique vehicles expressing its complex, diverse terroirs. He has a lot more to say about the consortium and the appellation, of course. And again, I hope that readers will draw their own conclusions (if you’re a subscriber, I recommend the post to you so that you can read it in its entirety). But I will say that I do agree on him on this point: Franciacorta’s efforts to position itself as a transalpine cousin of Champagne have been misguided and counterproductive in shaping consumer’s perceptions of the wines. After all, when you say, “we make wine just like they do in Champagne” and “we are Italy’s answer to Champagne,” you imply that Champagne is the greater and Franciacorta the lesser of the two appellations. There’s simply no way around that. I’ve written at length, here and on my own blog, about this very issue. Whether or not I or you agree with what Alice and Walter had to say, both posts must be reckoned with: They are both widely read authorities on fine wine and their insights are the results of many years between them as observers of the wine industry. I love Franciacorta and I love the wines and many of the people who live and work there are among my closest friends and colleagues (that’s the truth). I can imagine that their posts were bitter pills to swallow for many of the growers and winemakers there. Medicine sure can sting the palate. But we swallow it down nonetheless because we know that therapeutic pain is just that: A means to a healthier state. I think Alice has a point about reviving the original grapes of the area. But perhaps she and Walter emphasized the negative too much over the positive—which i s, Franciacorts is producing good, well-priced sparkling wines.